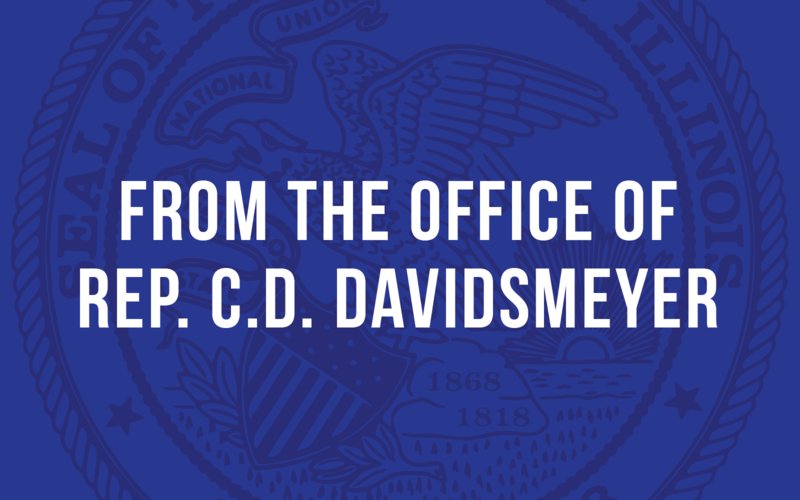 Jacksonville, IL…State Representative CD Davidsmeyer (R-Jacksonville) will now host District Office hours in Jerseyville on Thursdays rather than Wednesdays. “My Jerseyville office will now be open every Thursday from 9:30am to 3:00pm, as well as other times by appointment,” said Davidsmeyer. Rep. Davidsmeyer’s Jerseyville office is equipped to help senior citizens, veterans and taxpayers with their state government issues. “My office is here to help people get through the red tape of state government, whether it is a concealed carry license or helping with other benefits,” said Davidsmeyer.